Computer games, skates, debate clubs, and programming. Those are tools that young leaders visiting University of Lynchburg on Monday use to promote peace and tolerance in their home countries. As the winners of the first Emerging Young Leaders Awards from the U.S. Department of State, ten young people are touring the United States to interact with American peers and also receive training to help bolster their efforts overseas. Legacy International, an organization headquartered in nearby Bedford County, is administering the program for the state department and hosting the leaders. Legacy brought the award winners to LC for one of their first experiences with young Americans on the trip. 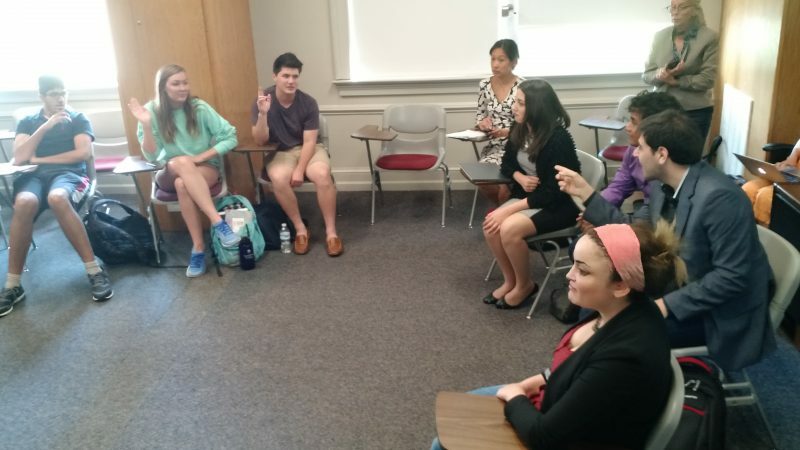 The leaders attended several international relations and politics classes to answer questions about their home countries and the problems they have set out to solve. For example, Nino Nanitashvili from the Republic of Georgia explained how she launched a program that uses computer games to teach conflict resolution and encourage cooperation between Georgians who are traditionally divided by prejudice. Jessel Recinos Fernandez, of Honduras, told how a gunshot wound that could have taken his life made him rethink his gang activity. He then turned to skating and eventually started a club that teaches kids to skate in order to keep them away from bad influences. 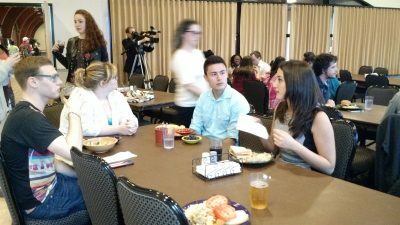 In addition to visiting classes, the Emerging Young Leaders had lunch with LC students and answered questions about their work. WDBJ7 shared a story of the program in its Monday night broadcast.